MOSCOW, September 16. /TASS/. The United States has handed over to Russia the data on the location of US-controlled opposition units in Syria, the Russian Defense Ministry said Friday. The ministry however noted that the documents received from Pentagon proved that no separation of moderate opposition from the Jabhat al-Nusra terrorist group had been done. The chief of Russia’s center for reconciliation of the warring parties in Syria, Vladimir Savchenko, said that Syria’s ‘moderate opposition’ was using the regime of cessation of activities to regroup its forces. He said a total of 39 episodes of shelling at positions of Syrian government troops and self-defense units, and populated localities were reported in Syria in the past day. "As many as 19 shelling episodes were reported from the province of Aleppo (the city came under shelling 16 times), eight episodes of shelling were reported from mountainous Latakia, six - from the province of Damascus, five - from Hama, and one - from Homs," he said. "The development of the situation proves that the ‘moderate opposition’ once again is using the ceasefire regime to restore its combat capabilities and regroup its forces in the provinces of Aleppo, Hama and Homs," he said. According to Savchenko, terrorist groups are showing increased activity. Thus, in violation of the agreement, opposition forces have not begun to pull out their weapons from the Castello road. "So far, there is no information about a checkpoint at the Castello road’s easternmost end to let humanitarian cargoes reach quarters controlled by militants," Savchenko noted. The Russian reconciliation center on Thursday made several attempts to get in touch with the U.S. side using the direct exchange line but these attempts were to no avail. Hence, a written notification was referred to the American side to inform it of ‘moderate opposition’ groups’ non-fulfilment of the terms of the deal. 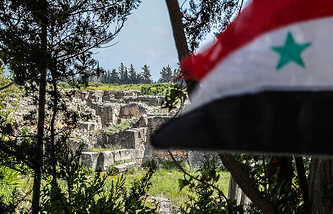 According to Sergei Kapitsyn, a senior officer of a Russian group in Aleppo, Syrian government forces have been forced to pull heavy weapons to the demilitarized zone along the Castello road to prevent its seizure by militants. "Intense fire from firearms and mortars was conducted at the Syrian government troops near the Castello road during the past night. As a result of shelling, two Syrian servicemen were severely wounded," he told a videoconference at the Russian national defense management center. To prevent possible seizure of the demilitarized zone by the enemy, heavy weapons and personnel were pulled back to their initial positions, he added. The military official has noted that four people, including a child, were killed in the shelling of Aleppo, while another 19 people were wounded. 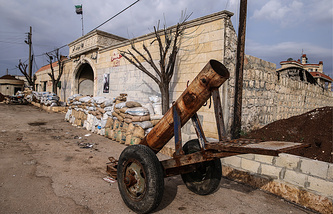 "Yesterday, the militants launched an intensive mortar fire at Aleppo. The situation remains tense. We have registered 16 incidents of shelling peaceful residential areas and the government troops’ positions…The shelling of the al-Khalidiah and El-Mashrak neighborhoods had the gravest consequences: four civilians, including a child, were killed and another 19 were wounded," Kapitsyn stressed. Viktor Poznikhir, the first deputy chief of the Russian General Staff’s operations directorate, said on Friday at a briefing at the Russian national defense management center said "the government troops withdrew tanks, armored vehicles and artillery to the agreed distance off the Castello road to create a demilitarized zone." He said no similar actions have been done by opposition groups supported by the United States. Alexander Zorin, the Russian Defense Ministry's envoy to the Geneva-based task forces on ceasefire and humanitarian issues, noted that no data on causes for the breakdown of the agreement on withdrawal of forces from the Castello road had been provided by the US representatives, they have asked for more time to probe into it. "The American side has so far provided no objective information about the causes of the breakdown of the agreement and has asked for more time to probe into what happened," the officer said. According to Zorin, Russia has provided evidence to the US that the US-controlled opposition units violated the ceasefire in Syria, but there was no response. "We hand over data to our US colleagues on a daily basis on the recorded ceasefire violations by the opposition indicating the need to conduct an impartial investigation and take steps to prevent them from being repeated in the future. There has been no response from the American side to date," Zorin said during the video conference. It is planned to use the Castello road to deliver humanitarian cargoes to Aleppo. Both government troops and opposition groups are to create a demilitarized zone along the road. According to Lt. Gen. Viktor Poznikhir, the first deputy chief of the General Staff’s main operations directorate, the Russian side is prepared for the extension of the ceasefire in Syria that expires on Friday evening for another 72 hours. "We are ready to extend the cessation of hostilities regime for another 72 hours," he said. "We expect the American side to take drastic measures to influence the armed units controlled by it to ensure strict compliance with the September 9 agreement. Otherwise, the situation may spiral out of control," he said. Viktor Poznikhir, the first deputy chief of the Russian General Staff’s operations directorate, said on Friday at a briefing at the Russian national defense management center. Poznikhir has pointed out that another four settlements in Syria had joined the reconciliation process in the past 24 hours. "In the last 24 hours the reconciliation agreements have been signed with another four settlements in the province of Latakia. As of today, the total number of the settlements joining the process has reached 623," Poznikhir told a briefing at the National Defense Management Center. On September 15 he informed that three settlements in the Latakia province had joined the reconciliation process. Militants in Syria are pulling in their forces in the province of Hama and are expected to stage an offensive within the day, an officer of the Syrian government army said on Friday. "According to reconnaissance data, militants are pulling in their forces to Taibet al-Imam, Mardes, Kawkab to resume offensive operations on our positions and reach northern suburbs of the city of Hama. An offensive is expected with the day," he said at a videoconference at the national defense management center. "It is necessary to take urgent measures to have leaders of illegal armed groups observe the regime of cessation of hostilities," he said. "Illegal groups are not implementing their liabilities to stop hostilities." 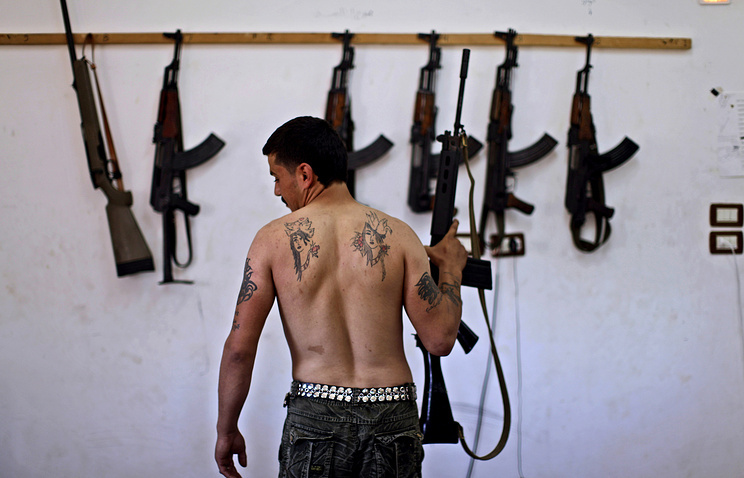 According to the officer, illegal armed groups are not implementing their liabilities on stopping combat operation. In his words, in a time span from 07:10 to 08:00 local time, positions of government troops and living quarters in the settlements of Maharda, Sheikh Denih, Skandariya and Maan came under shelling from firearms, mortars and home-made multiple missile launcher systems. "As a resul of shelling, five people were killed and eleven more were wounded. Government troops refrained from retaliatory fire," the officer said.